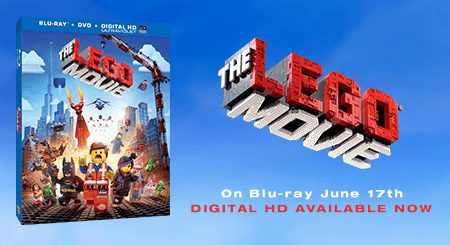 I remember when we first saw The Lego Movie advertised and how excited my children were. My son loves everything legos. You should see the kind of things he makes! I really should take more photos of them all! He is very creative. So have fun with the app and enter below! Thank you. We didn't get a chance to go see this movie. I didn't see the movie myself, but my kids went to see it with their grandparents. I want to see this movie. I didn't get a chance to go see it when it came to Trinidad, hopefully I can catch it online at some point. The kids love love it and even many adults. I hope you get to see it soon. I missed the movie in theaters but I really want to see it now! My favorite character is Emmet! Vitruvius is my favorite character. Our favorite character is Emmet. Our favorite character in the movie is Emmet. We have not seen the movie yet but want to. I think our favorite character is probably Metal Beard. I haven't seen the actual movie (my kiddos have), but I've seen commercials..and I like Metal Beard. Thanks for the opportunity to win. I saw the movie in theaters with my husband, and we thought it was hilarious! Yes, I saw the movie in theaters. My favorite character is Wildstyle aka Lucy.